Recently I had the incredible opportunity to shoot an event in the most beautiful of locations; Lizard Island in far north Queensland smack bang in the middle of the Great Barrier Reef. My brief was to photograph the four day event from the perspective of one of the attendees all the while making sure in my downtime I was able to photograph the islands natural wonders. The event showcased the work of three world class chefs and the wine and champagne accompaniment was provide by Giaconda and Krug. My first love in photography was wildlife photography. I've shot in Africa on a 10 week safari and spent three weeks deep in the jungles of India photographing wild tigers. However one of my favourite places I've photographed wildlife is in the top end of Oz, a haven for reptiles and birdlife. The last time i was in Darwin to view the wildlife was in 2006 when my wife and i drove our battered 1993 Subaru from Darwin to Broome over 7 weeks after having our car bought up on a truck from Melbourne. So when I was able to 'go bush' recently when a couple of days were cancelled on a recent 10 day commercial shoot in Darwin i was jumping out of my skin with excitement! I hired my own boat and was able to see some incredible animals on the Mary River in the Mary River National Park just outside of Kakadu. 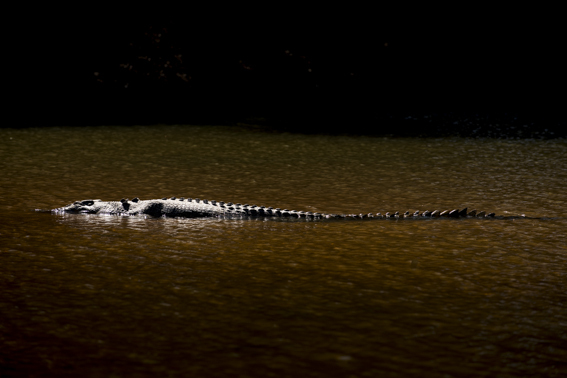 The Mary River is home to the biggest concentration of Saltwater crocodiles anywhere in the world and it lived up to expectations with a stack of sightings. I was also privileged to see birds such as the Rainbow bee-eater, a white bellied Sea Eagle capture and tear apart a fish and the massive Jabiru in flight. What a place, an hours drive out of Darwin but a million miles from my regular head space. I can't wait to go back - it is such a remarkable experience that doesn't leave you for quite some time. I am proud to have 5 images included in the Call of the Wild group photography exhibition. Call of the wild features images of nature and wildlife from 22 of Victoria's outstanding Nature and wildlife photographers. It is the second in a new and exciting program of exhibitions presented by OzLink entertainment at the Domain House Gallery. Opening night: Wednesday Feb 6th 6:30-8:30pm by RSVP to rsvp@petergarnick.com.au by Feb 1st.